Sue’s brother Marty was here for a week of superior cooking. 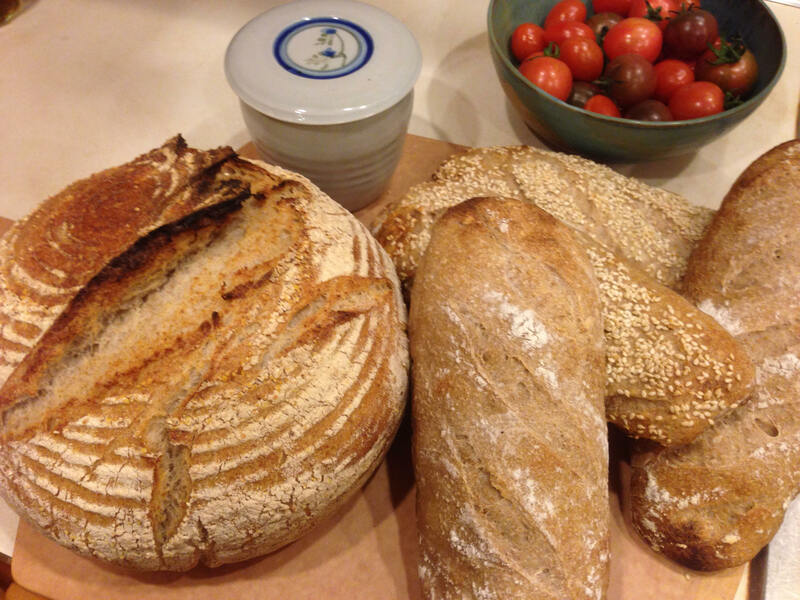 Marty is an exceptional chef and my job when he’s around is to eat whatever he puts in front of me, to happily clean up after him, and to make breads to accompany his mains. 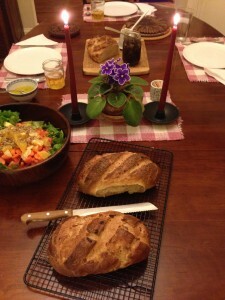 To celebrate his arrival and the ninety-ninth anniversary of the birth of their Dad, I baked a Danish sourdough rye. 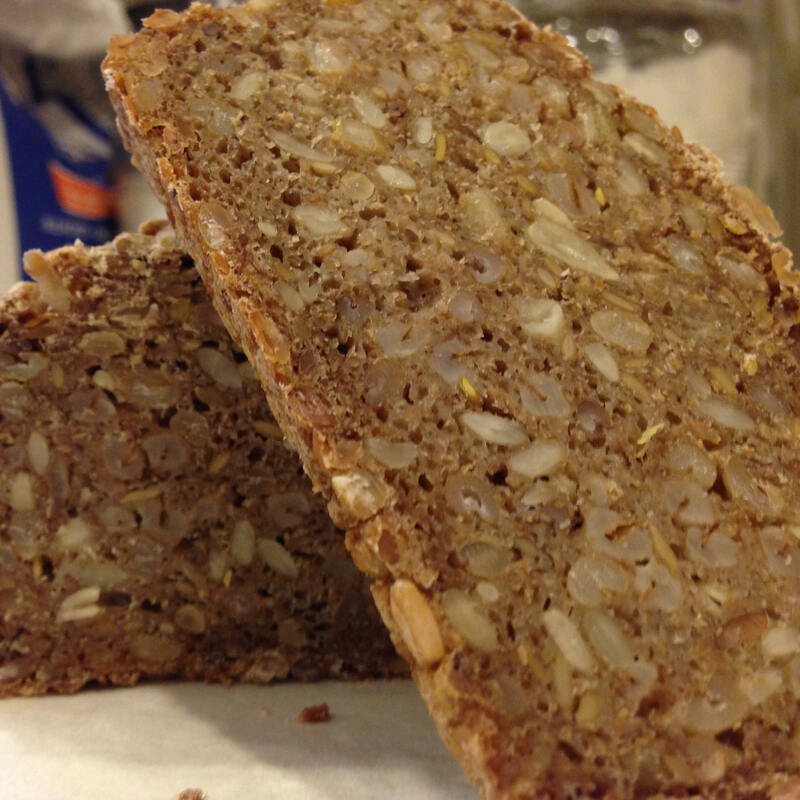 It’s a dense, sour loaf full of boiled grains of rye, wheat, and farro (an ancient variety of wheat) berries, plus some sunflower seeds and flax seeds. I made this with my Cripple Creek whole wheat starter. 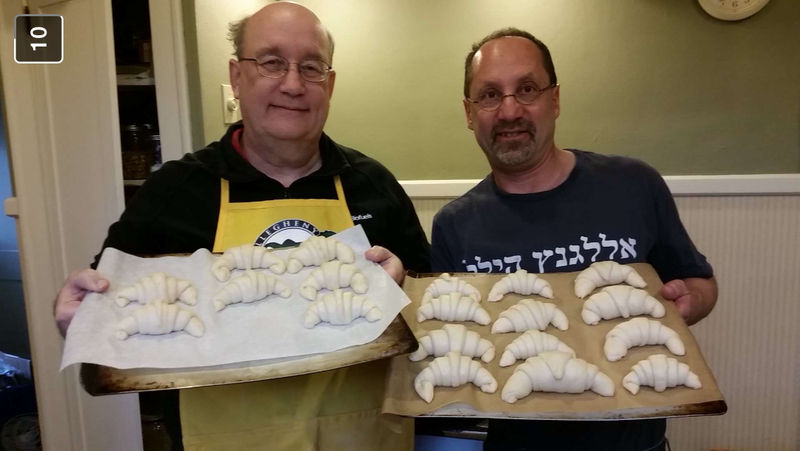 Next, for the second year running, Marty and I made croissant. 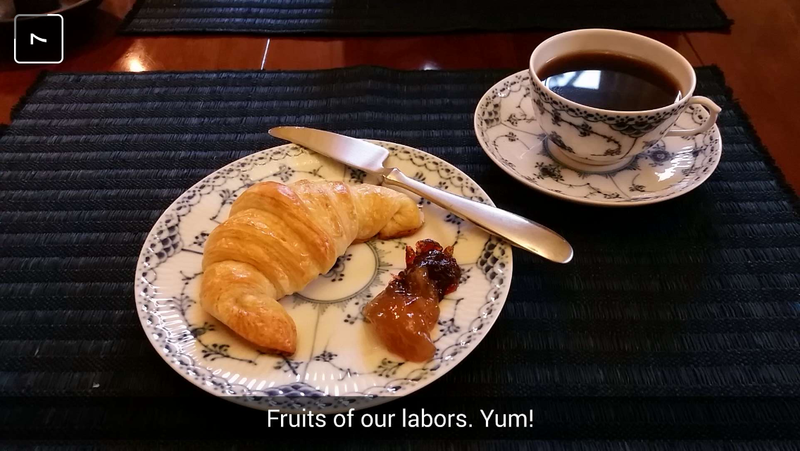 Croissant preparation is hard work. 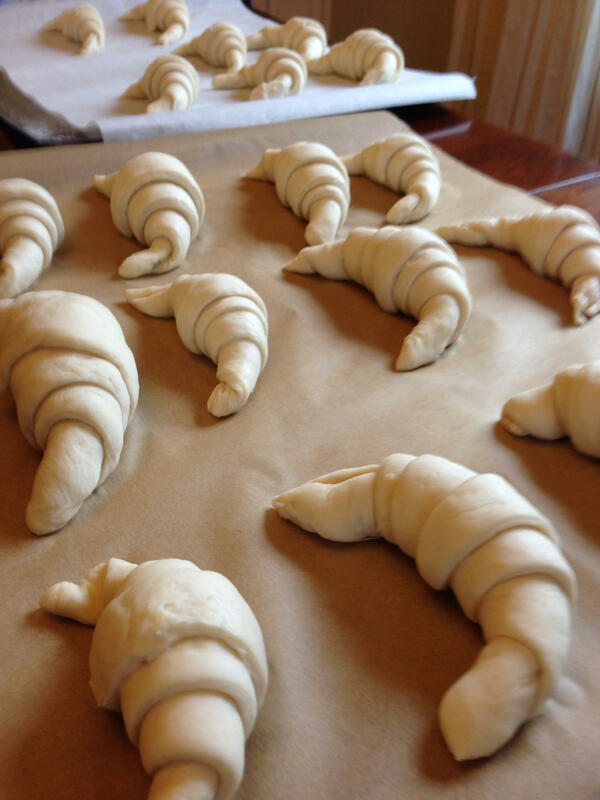 It takes three days, most of that devoted to turning flour and butter into puff pastry and to do that cold butter is beaten and then rolled into dough. Then the dough is cooled, rolled flat, folded and cooled again. Repeat three times before rolling the croissant, which are required to rest in the fridge overnight. Honestly, this year’s were not as good as the batch we prepared last year. This year’s were missing crispiness on the outside and the inside were too breadlike. We fear we might have let the croissant get too warm in the very last step allowing the butter to melt into the flour. Next year we’ll try again. 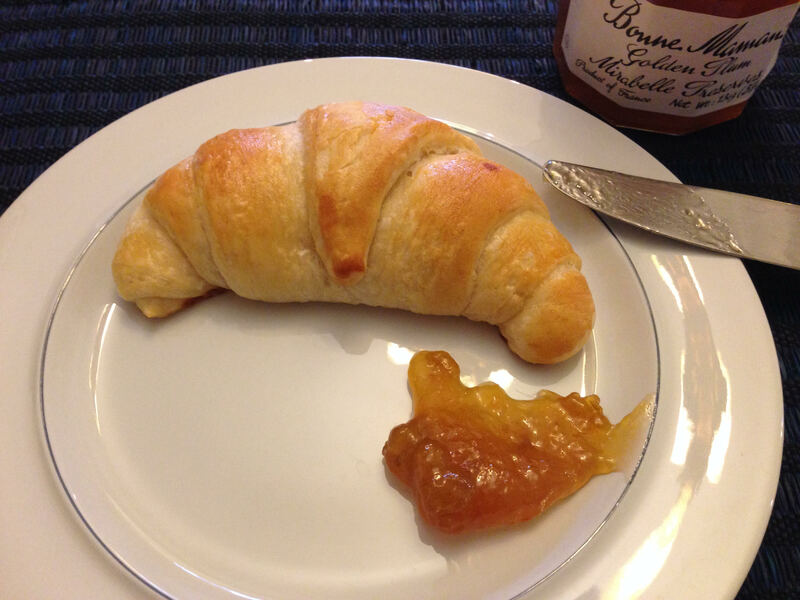 The croissant were made from my Meadville starter and I couldn’t bear to throw it away so I turned the leftover into a rye starter. 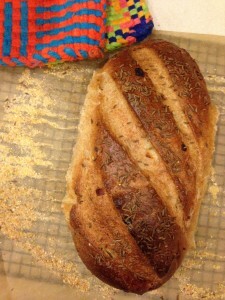 Actually, I turned it into a fried onion, rye starter and cooked it all into a New York style deli rye. This might have been my favorite of the week. It really did taste like New York deli onion rye. No winter visit by Marty would be complete without his specialty lox flown in and delivered by an unaware and overworked UPS man. 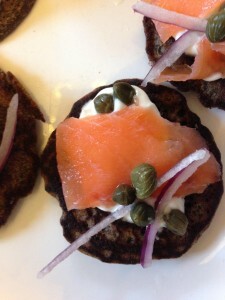 For years we ate the lox on blini purchased over the internet. Two years ago Marty and I concluded that authentic Russian blini, buckwheat pancakes, really, were probably made with a sourdough starter rather than with yeast. This year we made our blini with 100% buckwheat flour and again used my starter from Saudi Arabia. The blini were very sour and intensely grainy. Next year we’ll go back to a fifty – fifty mixture of white flour and buckwheat so we don’t overpower the balance of creme fraiche (homemade, of course), red onion, capers, and lox. Not that we are complaining. I learned a lot about the plight of European Jews in the years 1944 to 1947. American Jews knew of the death camps, but widespread American anti-Semitism prevented Roosevelt from even mentioning the word, Jews, in his fight against the Nazis. He could not or did not direct strikes against concentration camps or the trains that fed them and the U.S. refused admission to Jewish refugees escaping the Nazis. Before this book, I knew the Pope was at least silent on the issue of the Holocaust while it was happening, but Carroll’s opinion is that the Vatican was complicit, rather than just mum. The Vatican actively aided and abetted Nazis. When the war ended, and Part II of Warburg in Rome begins, the church and the U.S. government were so focused on the upcoming cold war with Stalin’s Soviet Union that they conspired to ferret Nazi war criminals out of Europe to Argentina in ways that might help their anti-communist campaign. But the fact that I can’t quite explain what the Americans got out of saving Nazis in their fight against communism is one of many flaws with this novel. 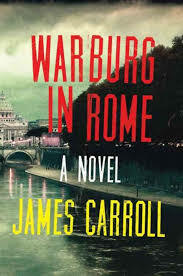 The characters – a non-practicing, Yale educated Jew, a beguiling Italian spy whose breasts always seemed worth mentioning, an Irish American priest from New York city — are all two dimensional at best. The plot and dialogue are simultaneously confusing and as predictable as a black and white movie from the 1940s. To his credit, Carroll, a former priest himself, is incredibly even-handed and sympathetic to the Jews and nothing short of distraught at the actions of his church. He made me want to read more about the role of the Church in WW II, but I’m not sure I want to recommend this book to anyone else. We’ve made and eaten a lot of hummus in our time, but this batch that Sue made was the the best I’ve ever eaten. Even our nephew Jeremy, the one who has visited Israel three times in the last year said it was on par with the best homemade hummus he’s eaten in the Middle East. Sue used the recipe from Jerusalem: A Cookbook by Yotam Ottolenghi and Sami Tamimi and knowing Sue she followed every direction with precision. It paid off. The hummus had a dozen different flavors in it — garlic, lemon, chickpea, zatar grown by or Jerusalem Arab friends, high quality Spanish olive oil, fresh black pepper — and was as creamy as whipped butter. 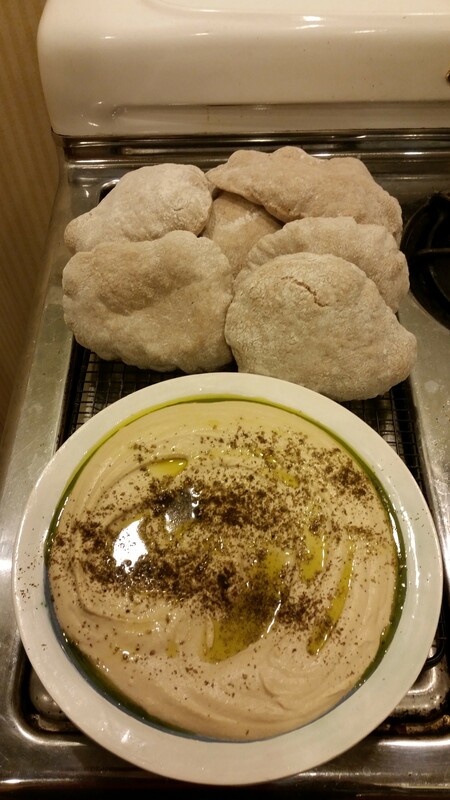 I did my best and baked two dozen sourdough pitas from my Saudi Arabian starter. Sue’s hummous accompanied by pitas made from a Saudi Arabian sourdough. My contribution to our Thanksgiving feast.